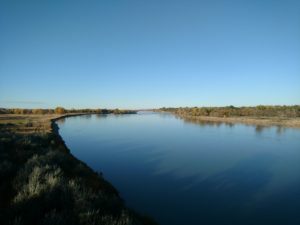 A unique and technologically challenging wastewater pipeline was constructed under the Yellowstone River in the fall of 2017, connecting the community of West Glendive to the City of Glendive. This innovative solution to wastewater management proved to be the most cost effective and operator friendly alternative for West Glendive to come into compliance with DEQ mandated wastewater improvements. The wastewater improvements resulted in the elimination of West Glendive’s previous lagoon treatment system, which improves the quality of wastewater discharged to the Yellowstone River and reduces odor. The improvements also allow for additional growth in the County and eliminate capacity problems with an old lift station serving the community. The cooperative solution also reduces the capital and maintenance costs of a new wastewater treatment plant for the City of Glendive. This is a perfect example of how communities can come together to solve common problems. The wastewater system for West Glendive is managed by Dawson County. The County employs a Public Works Director/Operator, who manages the day to day operations. 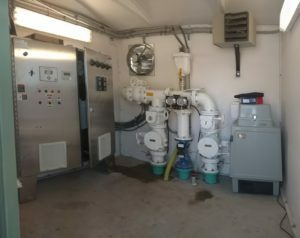 After completing a detailed analysis of the wastewater system to address DEQ requirements, Dawson County determined the best solution for their problem was to connect the West Glendive collection system to the newly constructed wastewater treatment plant now serving the City of Glendive. After an extensive engineering analysis performed by Great West Engineering, the County decided that horizontal directional drilling underneath the Yellowstone River was the best alternative. Two recent oil spills into the Yellowstone River raised concerns over the location of the piping. 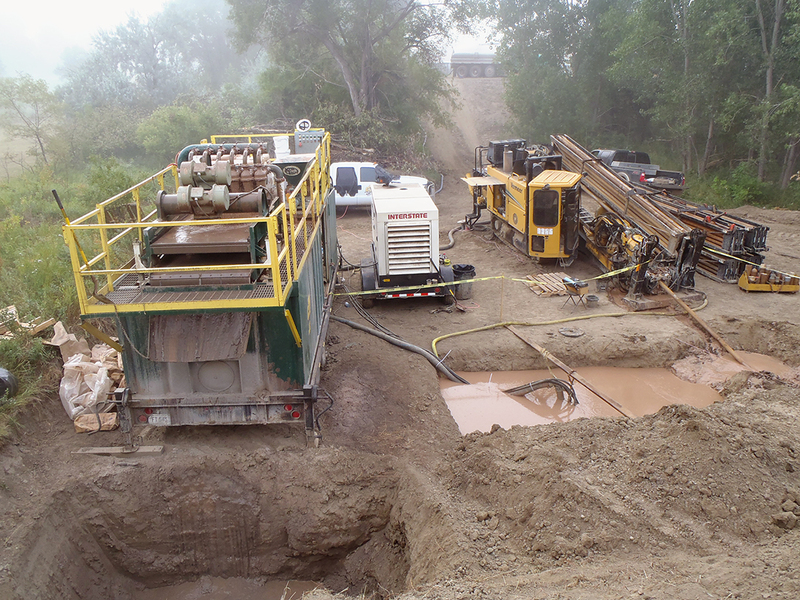 Extensive soil and geotechnical testing was performed to determine the safest and most cost-effective location for subsurface drilling of the pipe. Important considerations for the pipe route included river channel depth, bank widths, erosion and scouring events from ice jams and flooding. Being in a very large floodplain and involving the crossing of a major navigable river, the project was faced with several permitting challenges from a multitude of regulatory agencies. In addition, the pipe also needed to be drilled under an existing Army Corp of Engineers (USACE) levee, which presented another unique challenge to the project. USACE required proof that the installation of the pipe would not adversely affect the levee’s integrity. Ultimately, 1,400 feet of 16” HDPE force main pipe was installed 40 feet below the river channel and an additional 8,150 feet of PVC force main pipe with an associated pump station was installed to convey the raw sewage to the City of Glendive’s new wastewater treatment plant. The pipe design considered innovative operational features such as optimum pipe sizing to provide for the best possible flushing velocities, clean out vaults, lift station controls that provide flushing flows every 12 hours, pigging vaults and hydraulic modeling to ensure adequate downstream flushing velocities in the collection system. The point of connection of the new West Glendive force main needed to consider the interaction of the three existing lift stations currently operated by the City of Glendive. Complex hydraulic modeling was performed to determine the best connection point for the new lift station and to ensure collection system would work efficiently. The system has been operational now for over 6 months and is running well. Congratulations to all those involved that supported this great example of community cooperation and help made this project a success.